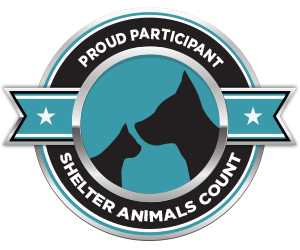 Animal Welfare Friends is offering a great way to become a permanent part of the Animal Shelter in Jones County! We’ve partnered with That’sMyBrick.com to offer custom messaging on bricks that will be used to pave the walkways of our new shelter. 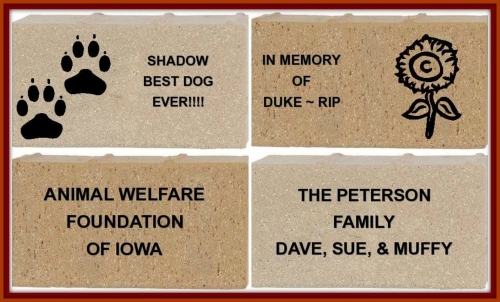 These bricks are a great way to honor a loved one, lost pet, or just share a message of your choice! Bricks are $250 a piece, and make a huge difference in our fundraising goals for the shelter. You can also purchase a replica brick for $125. Engraved bricks can be customized and purchased online with ThatsMyBrick.com. Use their handy online tool to preview what your message (and graphic, if chosen) will look like on the brick!